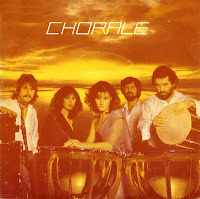 'Riu Riu' by the English group Chorale entered the Dutch Top 40 on December 16, 1978 and reached the no. 28 position. I think the song was performed on some TV shows at the time, but I can't be sure. I am sure, however, that I was completely unaware of this song's religious connotations. A few years later I went to church for the Christmas mass, and heard this song performed by the local choir. I was stunned. 'Riu Riu' is a Spanish composition of the type known as a 'villancico', dating from the sixteenth century. The lyric concerns the shepherds in the biblical Christmas story and observes, among other things, the 'one born today is actually his mother's father and the one who created her is said to be her son.' A good message, now that Christmas is almost upon us. Even for us unbelievers.